The 80-year-old woman, a member of Sanctuary of Mercy Catholic Church in Zaragoza, Spain, was upset. She was upset because moisture was playing havoc with a beloved church fresco of Christ, which had been painted by the famous artist Elias Garcia Martinez. Without asking for permission, and with the best of intentions, the lady scraped away at the paint -- a scraping which left the underlying white plaster show through. Seeing the painting was not any better for her efforts, the lady -- still with the best of intentions -- grabbed her paintbrush and painted over the old painting with her rendition of the Christ. It was all done with the best of intentions, but since the lady could hardly be called an "artist," the picture is now a disaster. 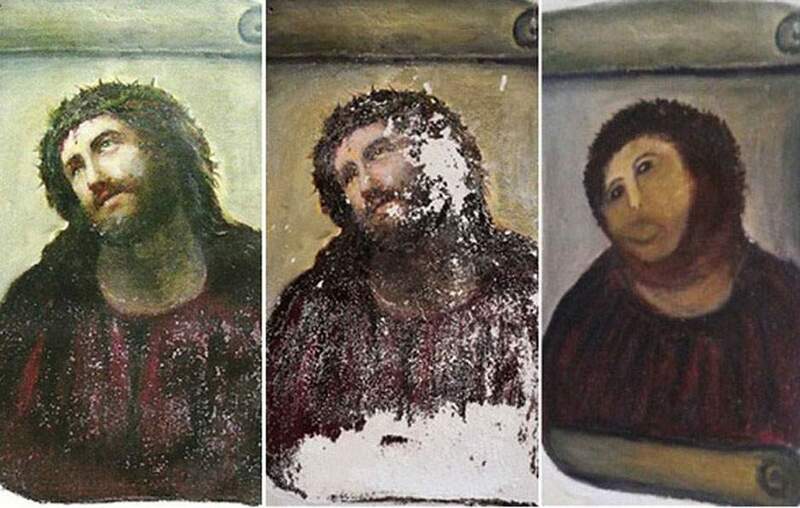 That's terribly tragic because money had just become available to restore and protect the fresco. Experts are discussing whether such a restoration is possible, or if the church will be forced to hang a picture of the painting to cover the ruined original. It all goes to show that sometimes even the best of intentions is not good enough. That's a lesson the Bible teaches again and again. Wanting to be like God, Adam and Eve had good intentions when they ate the forbidden fruit. Abraham had good intentions when he fathered Ishmael. If we could visit with Judas, he might even claim he had good intentions when he betrayed Jesus for 30 pieces of silver. The truth is our best intentions and efforts aren't ever good enough to save us. 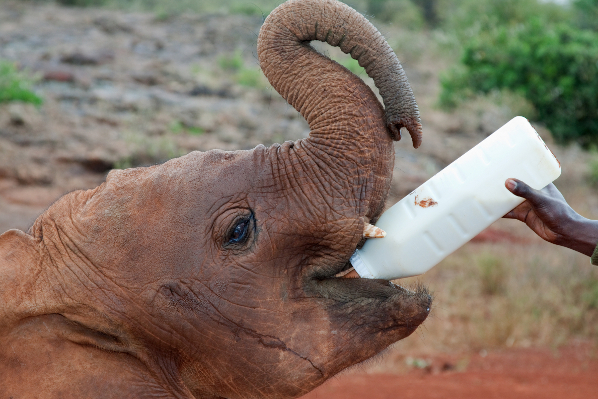 Knowing we are helpless is really a shot to our human egos and intelligence. That's because we want to be in control and will do just about anything to avoid having to depend on the Lord for our salvation. 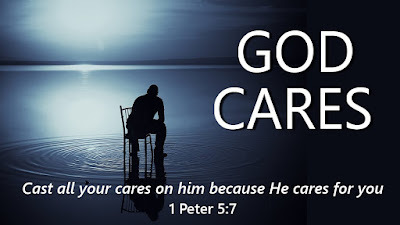 The best we can do will never improve on God's plan. That's what Isaiah was saying when he was inspired to write, "all our righteous deeds are like a polluted garment." Still, salvation and reconciliation will only be completed when a repentant heart trusts in the substitution and sacrifice of the Savior. Only by faith can we be saved. That's the great truth of Scripture. It is God's truth which cannot be improved upon, even if someone thinks he has the best of intentions. 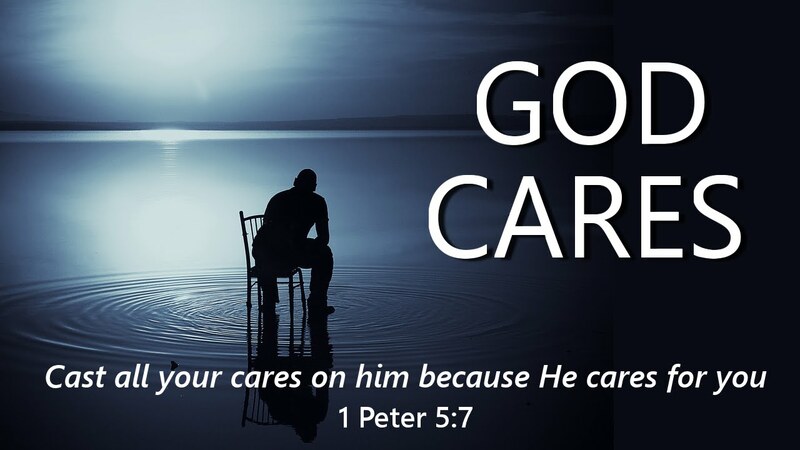 Dear Lord, forgive our hearts, which although well intentioned are often arrogant. Forgive us for thinking we can do better in the work of salvation than You. In the Name of Jesus. Amen. Years ago, a British express train was racing through the night. Its powerful headlamp speared the fog ahead. This train was special for it carried Britain's Queen Victoria. Suddenly, revealed in the beam of the train's headlight, the engineer saw a figure in a black cloak. On the middle of the tracks, he was waving his arms. It took but a second for the engineer to throw the brake lever, a little longer for the train to scream to a halt. The engineer, along with the other railroad employees, got out to find the fellow who had stopped them. They did, however, find a section of track, which had been washed out by a swollen stream. The engineer cringed at the thought: if the unfound man in the black cloak had not stopped them, they would have derailed, creating a national catastrophe. Eventually, the bridge was repaired, and the train finished its trip in London. There, the mystery of the man in the black cloak was discovered. At the base of the engine's headlamp was a great moth. 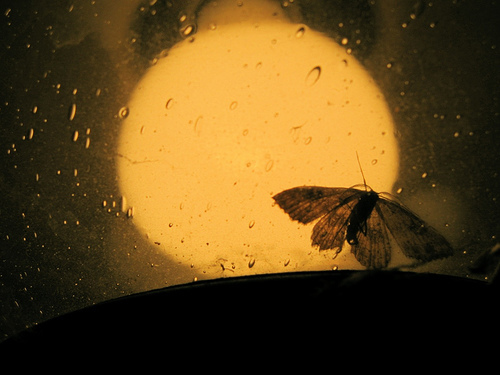 The engineer studied it, wet its wings, and pasted it to the glass of his lamp. Climbing back into his cab, he switched on the lamp and saw the "phantom flagman" in the bright beam. Seconds before the train reached the ruined track, the moth had flown onto the lamp. In the fog, it appeared to be a black-cloaked man waving his arms. Queen Victoria's reaction to the strange occurrence? She said, "I'm sure it was no accident. It was God's way of saving us." Most certainly, we are all saved through the sacrifice of the Savior. His gracious act wherein He carried our sins, resisted temptation, and conquered death is the common denominator for all who are forgiven and redeemed. Many of us have been saved by simple means whereby the Holy Spirit has placed faith into our transformed hearts. How has the Lord saved you? What delivery system did He use? Was it through the preaching of a faithful pastor, a never-to-be-forgotten teacher, your parents, a radio or television broadcast? Did He use a watershed moment in your life to make plain His commitment to rescue you? 1. You couldn't save yourself. No matter how hard you tried, you remained a condemned sinner. 2. 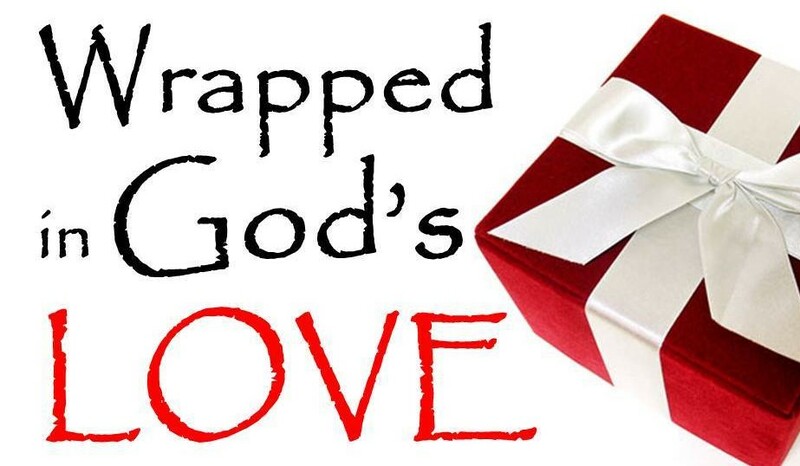 God's love for you is so great He was willing to sacrifice His Son, so you could be adopted into His family of faith. God's mercy and grace ... that's what saved the Queen ... it is what saves us, too. Dear Lord, without You we would have been lost forever. 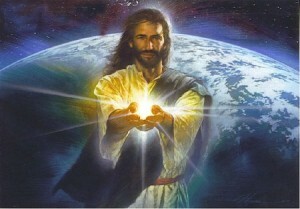 For our salvation, a gracious gift which comes to us through Jesus' sacrifice and the Holy Sprit's work, we are saved. In the Name of Jesus. Amen. As we begin a new week, and I have a question for you: Are you connected? Recently, a Midwestern hospital found out it wasn't -- connected, that is. Here's the story: for 35 years the hospital had relied upon its water safety equipment in case of fire. 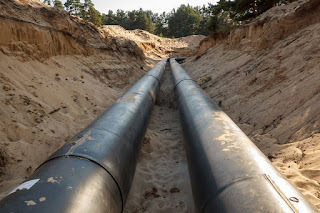 Surprisingly, the water main had never been attached to the city's water supply. The pipe that led from the building extended four feet underground -- and there it stopped! For 35 years the medical staff and patients had placed confidence in that system. Theirs was a false security. The costly equipment, the polished valves, and the well-placed outlets were adequate except for one thing -- there was no water! Now I know your life may have all the necessary outward trappings. You have a home, food, television, radio, and clothing. But are you connected? Are you connected to the one Person who can save you in case of catastrophe -- a catastrophe which, sooner or later, is going to come? Is Jesus Christ your Savior? I pray He is. In Him there is hope, peace, joy, happiness, and heaven. He wants you to be connected. So the Holy Spirit might connect you, Jesus our Savior lived, suffered, died, and rose. Now all who believe on Him are given a blessed and complete connection to Him who is the "water of life." Christians, do you know someone out there who is not connected? If so, let's remember that individual in our prayers. If not, give thanks that you are so blessed and join with those who are going to bring a special individual to the Lord. Dear Lord, thank You for the life you have given us through the death and resurrection of Your Son, Jesus. Now we pray for those who don't know You. Help us be the ones for You to use. In the Name of Jesus. Amen. 23 And someone said to him, “Lord, will those who are saved be few?” And he said to them, 24 “Strive to enter through the narrow door. For many, I tell you, will seek to enter and will not be able. Years ago, a minister donated some items of furniture to a family. He was moving to another church, with a smaller house, and thought someone else could use the extra pieces for their home. One item was a beautiful walnut cabinet dresser, which had lots of drawers for accessories and clothes. It was about seven feet tall and just as wide, made in the good old days when furniture was sturdy, solid and hand-made. The family was delighted to receive such a handsome piece of furniture, but there was only one problem. They couldn’t get it through the front door. So they had to take it apart, piece by piece, shelf by shelf, drawer by drawer. It took almost two days to do that, and then they had to put it together again. As usual, they ended up with more screws than they started out with, so somewhere along the way, they had missed putting some in. It didn’t fall apart and served for many years at the top of the stair landing. When they left Scotland to come to Tennessee, they had to leave it behind because they would have to take it apart again. Having faith in Jesus is what gets us through the narrow door into heaven. We just can’t turn up and expect God to take us apart so that we will fit the doorway to enter in to His Kingdom. If we have any "fitting" to go through, it must be done on this threshold of life. If we don’t take the opportunity to shape our lives according to Christ’s ways, then we lose the ability to get through the narrow gate. Heaven is not a given, no matter who we are or how highly we think of ourselves. Jesus is the only way to salvation. Everything else is just wishful thinking. Dear Lord, You were very specific when You stated that the doorway to heaven is narrow. We can only enter one at a time. Help us and all our loved ones to recognize how serious You are about reshaping our lives according to Your ways. In the Name of Jesus. Amen. The following true story relates to a man who went from England to America, and thence to Cuba. He had not been in Cuba long before the Cuban war of 1867 broke out, and he was arrested as a spy. He knew nothing about what he was arrested for, as he could not understand a word of Spanish. He was court-martialed and ordered shot. When he realized his peril, he sent for the American and English consuls, and laid the case before them. The consuls looked into the case, and found that he was perfectly innocent. They went to the Spanish authorities, and endeavored to secure his release; but the Spanish officers said: "He has been tried by our law, and found guilty. The law must take its course, and the man must die." There was no submarine cable then, hence the consuls could not telegraph to their governments, and they had not time to write and get an answer back. When the morning set for the execution came, the condemned man was brought out. A grave had been dug, and a coffin placed beside it, and the man took his seat upon the coffin. Then the black cap was pulled over his head. There stood the Spanish soldiers, awaiting orders to fire; but at that moment the American and English consuls rode up, and jumping from their carriage, ran and wrapped the Star-spangled Banner and the Union Jack around the man, and turning to the Spanish officer, said, "Fire on these flags if you dare." He did not dare. There were two great governments back of those flags. If you will but accept Christ as your Savior, God will forgive all your sins and wrap the flag of mercy around you, and sin and death will no longer have power over you. Dear Lord, we thank You for the flag of mercy that You will wrapped around us so that sin and death doesn’t have power over us anymore. In the Name of Jesus, Amen. 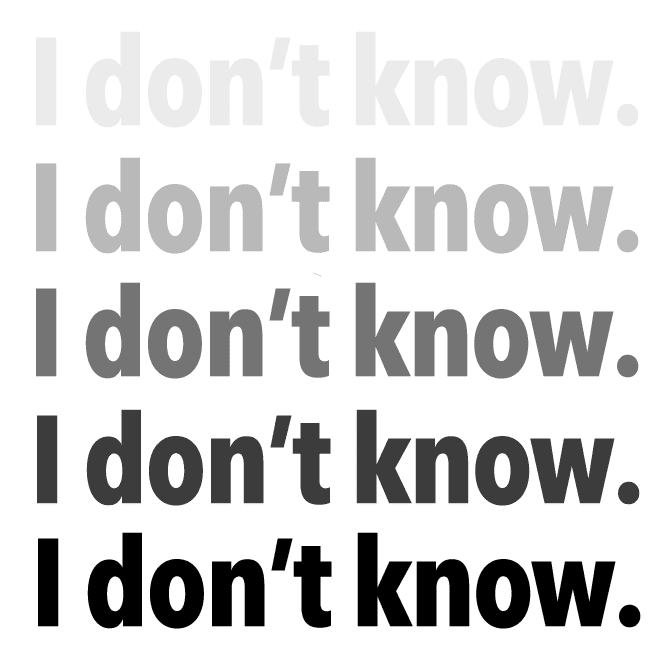 One of the traits of a three year old is whenever they are asked something which they don’t have the answer for, or would rather not give the answer to, responds in a little sing song voice with these words-I don't know--. These two verses make it very clear that we can know our eternal destiny. We can know what awaits us at the end of this life, for he who has the Son has life while he who does not have the Son of God does not have life. There is no maybe here. There is no perhaps only certainty regarding ones destiny according to this, the word of God. Do you have Jesus in your life? Have you trusted Him as the Christ, the forgiver of men's sin, the redeemer of mankind? Has his forgiveness been applied to your heart by faith? 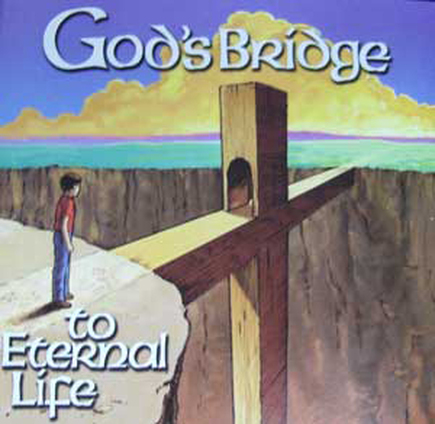 If so then God has given you eternal life, and this life is in his Son. So the next time someone asks you this very important question, or asks how they can know their eternal destiny, the response I don't know is no longer an option for indeed we have "The Answer!" Dear Lord, thank you that none of us have to hang in limbo concerning what awaits us at the end of this earthly life. Your word makes it clear that we can know our destiny. In the Name of Jesus, Amen. Bhaawa,a five month old baby, was found in despair, bogged down in the mud of a drying waterhole in the Kirisia Hills near Maralal in Northern Kenya. He was suffering from shock and grief. Thank you Jesus for rescuing me when I was utterly lost and desperate! Thank you for bringing me home and allowing me to experience your out-of-this-world love. Dear Lord, we thank You for rescuing us when we were trapped in our sin. Thanks that we can come to You. In the Name of Jesus, Amen. In a hurry to dive into the cool water, he ran out the back door, leaving behind shoes, socks, and shirt as he went. 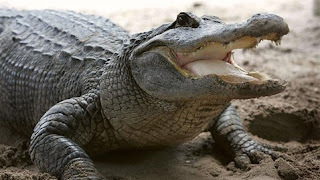 He flew into the water, not realizing that as he swam toward the middle of the lake, an alligator was swimming toward the shore. No, not from an alligator, or anything quite so dramatic. But, the scars of a painful past. Some of those scars are unsightly and have caused us deep regret. But, some wounds, my friend, are because God has refused to let go. In the midst of your struggle, He's been there holding on to you. But sometimes we foolishly wade into dangerous situations. The swimming hole of life is filled with peril - and we forget that the enemy is waiting to attack. That's when the tug-o-war begins - and if you have the scars of His love on your arms, be very, very grateful. He did not - and will not - let you go. Let us each take just a moment to stop talking and listen to what God has to say to us. Dear Lord, today we pray that we would just sit back and listen to You. Help us focus on the plans that You have for each of us today. In the Name of Jesus, Amen. I have a friend who has diabetes. He told about how he had to be trained to give himself insulin, and how it was explained to him that the insulin is the key that unlocks the body's cells so they are able to absorb necessary sugar to promote body energy. As I thought about the definition of insulin's job, I found myself thinking how this was so like the blood of Christ in regards to it being the key which unlocks the way to restoration between God and man through forgiveness. And with forgiveness comes abundance of life eternally. Without the shedding of blood there is no forgiveness of sin. And without forgiveness of sin there is no relationship with God. And without relationship with God there is no eternal life. Just like insulin however, forgiveness must be chosen. 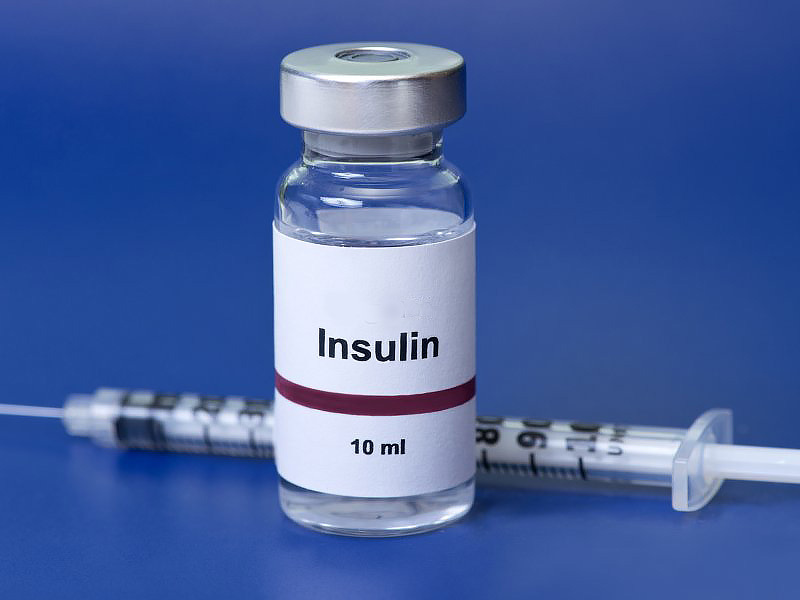 If a patient with diabetes refuses to inject their insulin their cells remained locked. Sugar is denied to the body and they eventually go into diabetic shock which leads to death. Adjusting to taking a daily shot, especially for a child is difficult, but in order to be healthy they must come to the acceptance of this fact. "For all have sinned and fall short of the glory of God, and are justified freely by his grace through the redemption that came by Christ Jesus." Romans 3:23. 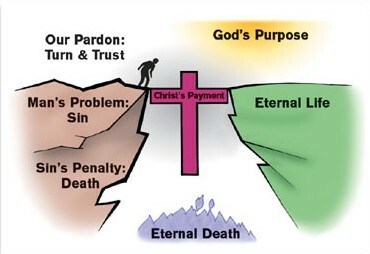 Forgiveness of sin is a free gift offered to all by God through faith in Christ Jesus. To obtain his gift however one must accept the truth that everyone has thought or done things displeasing to God leaving a breach in their relationship with Him. This breach can only be restored as a person acknowledges their sin, repents of it and turns by faith to the work of Jesus Christ on the cross: a work which unlocks the healing power of forgiveness between God and man, allowing man to be born again from spiritual death unto the abundance of eternal life now and forever more. Dear Lord, we thank you for the provision which you have made for all people to have eternal life in You. We pray today that many will come to the realization of their sin and humbly repent and turn from it as they accept by faith the gift You give because of what You did on the cross. In the Name of Jesus, Amen. On a dull, sultry day some years ago, a young man was seated in a railway train with a clergyman across the aisle reading the daily paper. The young man, a recent convert to Christianity, was gazing out of the window in happy contemplation when he began to sing quietly the gospel song "Redeemed, How I Love to Proclaim It!" When he came to the end of the first stanza, the minister softly joined in the refrain, and then remarked, "I take it, young man, that you are a Christian." "Yes, sir," the younger man replied. "How long is it since you were redeemed?" Asked the minister. "Two thousand plus years, sir," came the prompt reply. "But I mean," said the preacher, a little confused, "how long since you yourself were redeemed?" "But I mean," said the preacher, a little nonplussed, "how long since you yourself were redeemed?" Again the new convert replied, " Two thousand plus years, sir." With this answer the conversation lapsed, and the minister resumed his reading. As the lad was about to leave the train, he said, "Pardon me, sir, I did not wish to appear smart or clever in my reply just now. I meant what I said. I was redeemed Two thousand plus years ago, but it was only last year that I found it out." Never were truer words spoken of the philosophy of salvation. 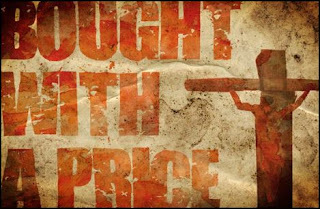 Two thousand plus years ago our Lord purchased our pardon on Calvary's cross. Dear Lord, thank You for purchasing our pardon two thousand plus years ago. Help us to be diligent to share that great news with all we come into contact with. In The Name of Jesus, Amen. I was asked once what kind of food do I eat when I am frustrated. Strange question! As I thought about it something salty came to mind. Chips or nuts! Yes, I like nuts or chips, preferring salt over sugar. I especially love pistachios. 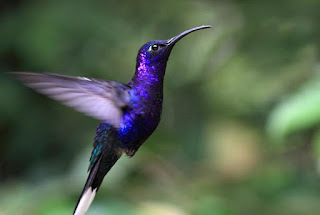 Purely heavenly! 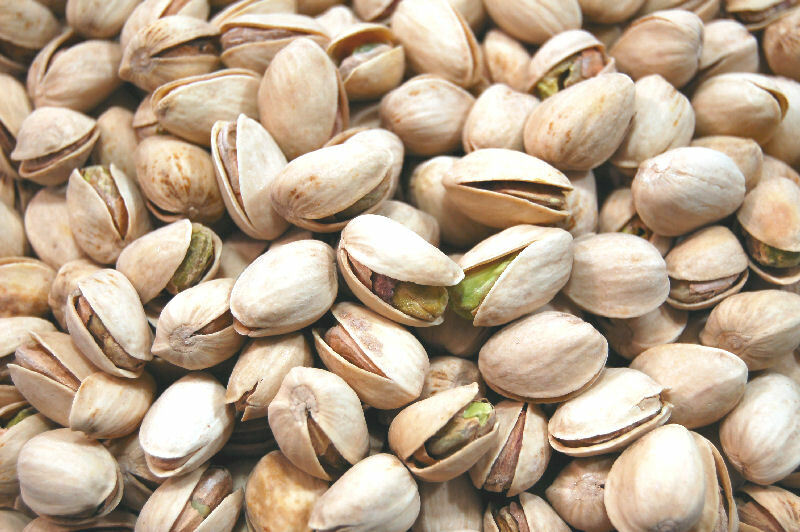 Now-a-days pistachios can be bought shell free. No more heavy labor to release these delicious tasting pistachios. Yum! Nowhere in the Bible does it say "You are the sugar of this world!" There is a reason for that. Even though in our society almost everything is laced with refined sugar, sugar isn't our best friend. The same is true with the news that is broadcasted day in and day out: murder, hatred, finances, temptation, indulgence and vengeance . . . I always find myself disappointed when I listen to such news. How can others savor something that is way better for them than what they are experiencing? This is only possible if we are "salt-seasoning that brings out the God-flavors!" Notice: salt-seasoning believers! Many believe we are nuts to promote God-flavors. We truly are! Yummy salty pistachios! 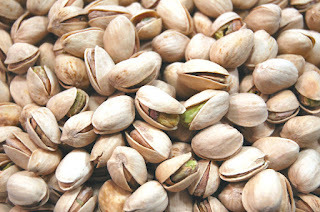 Even amidst sugar-hungering individuals, if we leave a bowl of pistachios in their vicinity, these nuts disappear quite quickly and many ask for more. The same is true with our "salt-seasoning" influence. We may be considered nuts, but still society hungers for people whose interest is in helping others. They urge for more and more of us to do so as well. Once "God-flavors" are tasted, we can't help but ask for more! If we are among the sugary kind of believers, we will be left wanting. Come on over and taste the "salt-seasoning that brings out the God-flavors!" You will ask for more and more, as our reality is well beyond the confines of our world! Dear Lord, help us each be the salt that the world and it’s people need. Give us the opportunities to spread the good news to all those that come into our path today. In the Name of Jesus, Amen.